Black Friday sale – now over, thank you! « Adafruit Industries – Makers, hackers, artists, designers and engineers! Black Friday sale – now over, thank you! 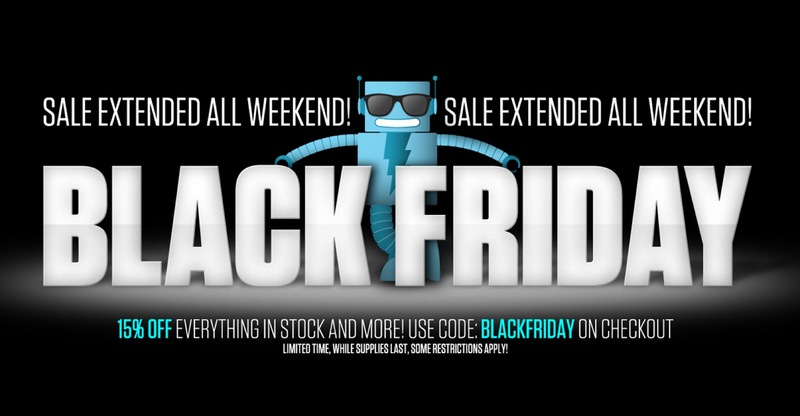 SALE EXTENDED ALL WEEKEND! Welcome to the Black Friday sale – 15% off plus all the free items & shipping as you shop! Use code: BLACKFRIDAY on check out (sale is now over). We thought about doing flash sales or complicated codes but that’s a lot of frustrating hoop jumping for everyone, so we came up with what we think is an amazing deal that is straight forward, no stress and valuable. Comments Off on Black Friday sale – now over, thank you!